I touched on the subject of low-price guarantees in [% 2521985 | | a blog entry %] earlier this week, warning readers that lower hotel rates can often be found on websites other than the hotels’, so Delta’s subsequent introduction of a “Best Fare Guarantee” presents a welcome opportunity to switch focus to the airlines. So, does Delta walk the low-fare talk? And more practically, do travel consumers need to comparison shop when buying Delta tickets, or can they go directly to delta.com feeling confident they’ll find the best prices there? To find out, I asked Bob Cowen, who regularly surveys the landscape of Internet pricing for airline tickets, hotel rates, and rental car rates on his Internet Travel Tips website. Cowen used Kayak, his preferred fare-comparison tool, to determine where the lowest prices for a representative sampling of Delta trips could be found. His finding: “Occasionally Kayak showed CheapTickets with the lowest price, but I then went to Delta’s website and the same flights were also available for the same price but Kayak didn’t show it. Bottom line, even if another website shows a lower fare, check Delta’s website.” In other words, the ticket prices on delta.com were indeed the lowest available. That should not be taken to mean that comparison shopping is irrelevant or unnecessary. Cowen’s findings reflect a limited sampling conducted at a particular point in time. There may exceptions to the rule. And the rule, while in effect at the time of the survey, could change at any time. 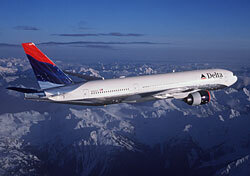 For now, though, Delta’s website is the smart choice for purchasing Delta tickets at competitive prices.